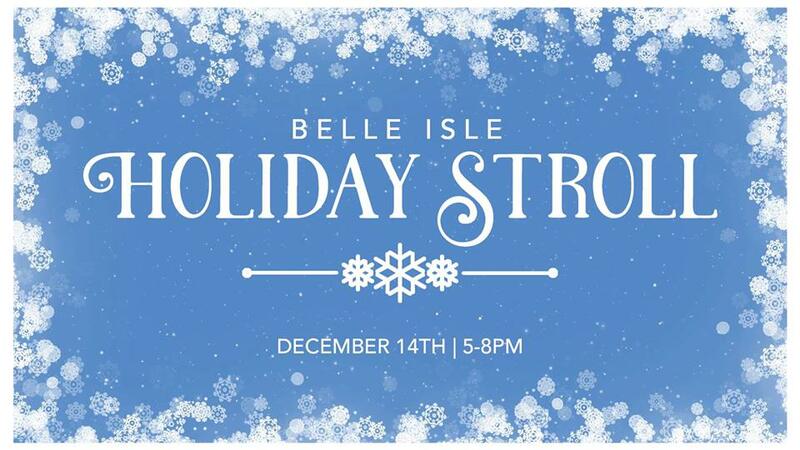 The annual Belle Isle Holiday Stroll is a free event that has brought thousands of people to Belle Isle each winter for an evening packed with holiday celebration. The Belle Isle Conservancy has partnered with Belle Isle Boat House, Dossin Great Lakes Museum and the Belle Isle Nature Center for family fun activities, holiday performances, crafts, Santa & Mrs. Claus and more! 5 -8 p.m. – Make 3-D Snowflakes and enjoy hot cocoa and cookies in DeRoy Hall. 5:30-6:45 p.m. – Kym Brady, the Urban Violinist, will perform swinging holiday music in DeRoy Hall. The 16-year-old musician enjoys producing the elements of music through an array of genres ranging from pop, rock, jazz, R&B and classical. She was named the “2016 Rising Star” at the Career Mastered: Women’s Leadership in Action Awards ceremony for Women’s History Month. 7 -7:30 p.m. – Join us in the Gothic Room to help spread love and cheer with our holiday caroling sing-along.